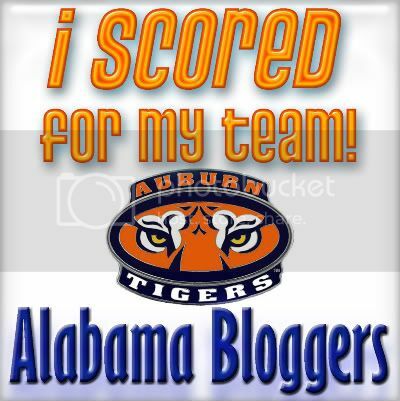 When I moved to Alabama, people were always asking me if I pulled for Auburn or Alabama, and I always smiled and politely replied, "None of the above." Twenty years later, most people know that I'm an Arkansas Razorback. I even sent all three of my boys to Arkansas, although they could have gone to Auburn or Alabama if they had chosen to do so. 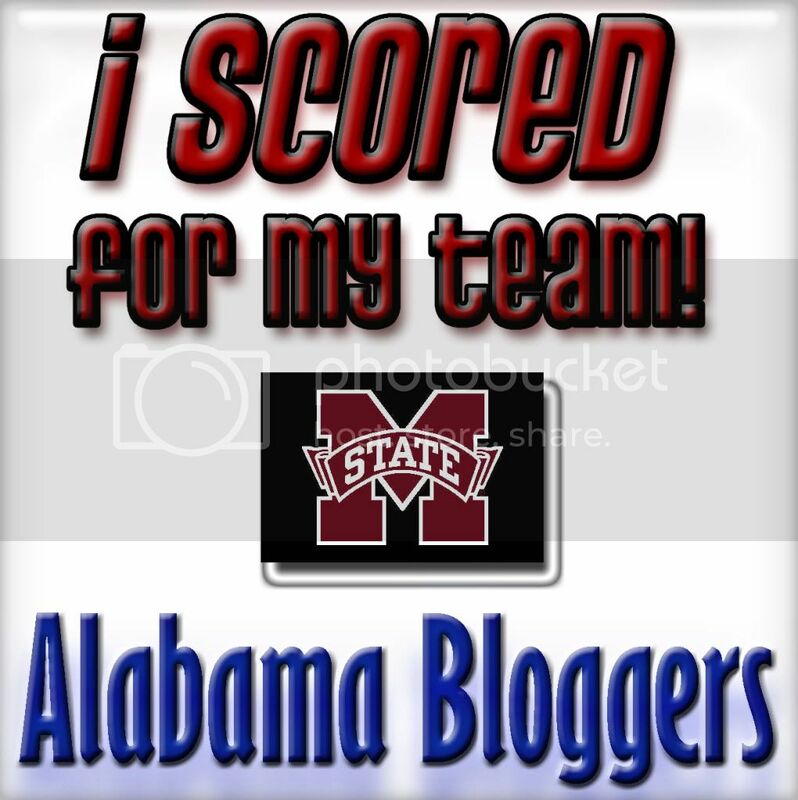 I have a Alabama button on my sidebar!! Just added the Auburn button....War Eagle!!!! 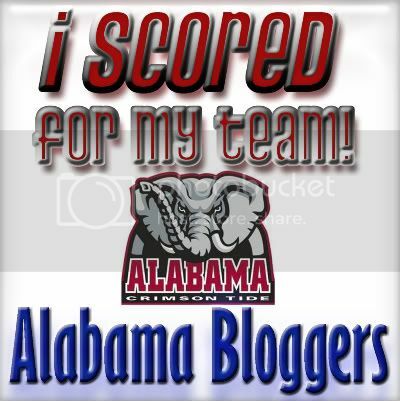 The Alabama button's on my sidebar - ROLL TIDE! YAY! I'm adding the Alabama button. I so tickled about this!! Seriously? That is how I am representing the Tide? With a typo? That should read "I'm so tickled about this." Sheesh. Adding the Auburn button now !! War Eagle yall !!! 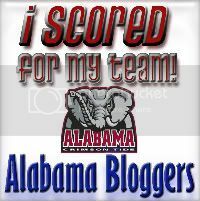 Since I don't have a non-participation of "employees" policy in my extensive employee handbook for Alabama Bloggers (ha! 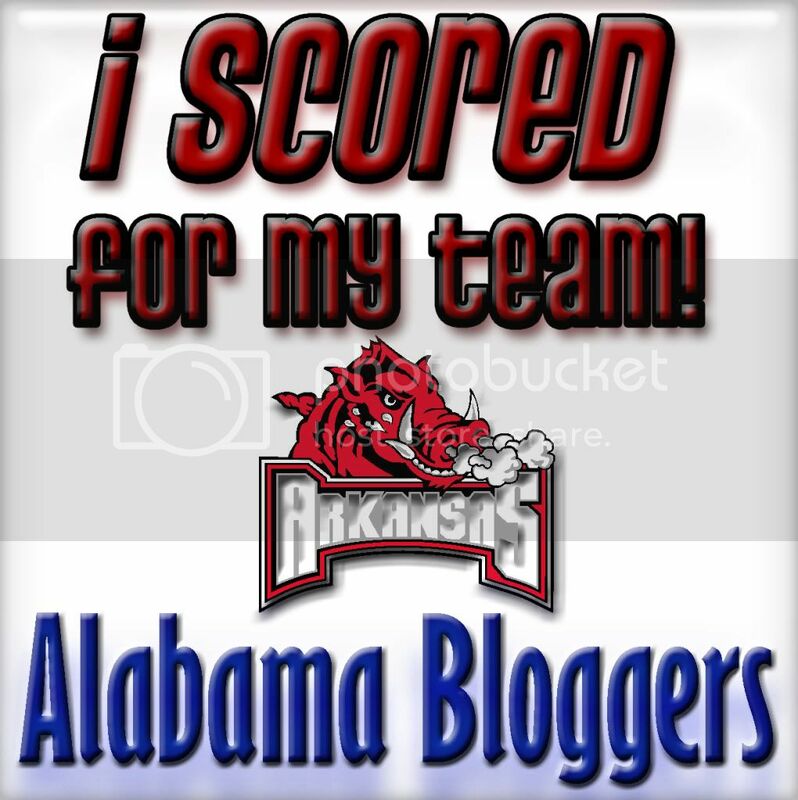 ), I'm scoring for Alabama on my main blog! I'm disappointed there are only two teams represented here. I may live in Alabama but my heart will always belong to Mississippi State. Go Dawgs! Thanks for opening this up. While I know my team won't win this contest, it's fun to participate. READY to REPRESENT....my money is all going there. ROLL TIDE! 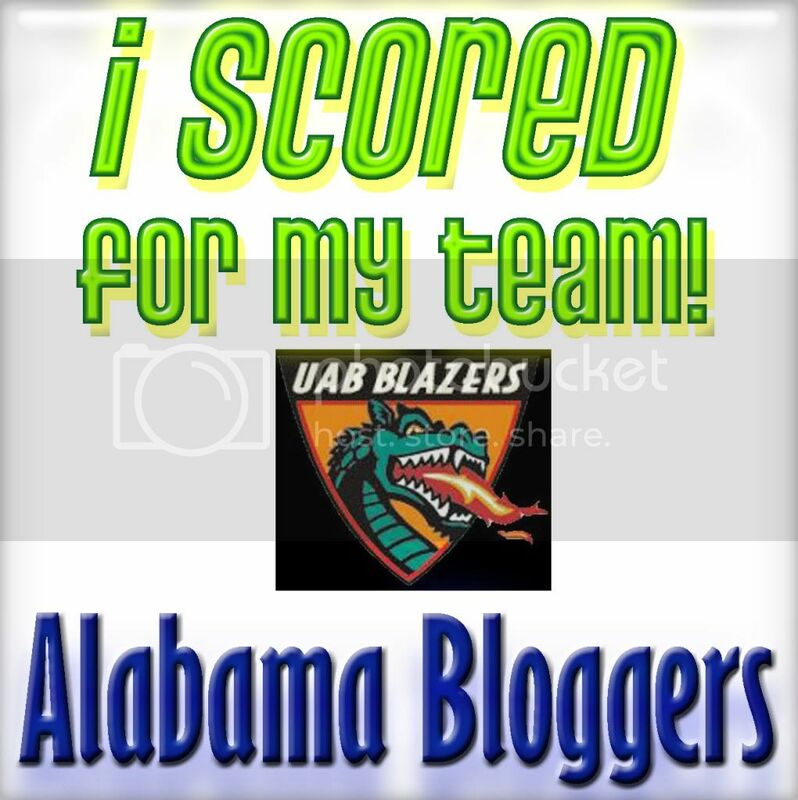 MY post is scheduled to run on MOnday, August 31st. 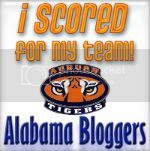 I did a post about the carnival...WAR EAGLE! 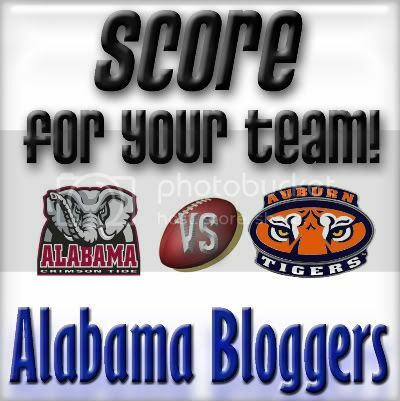 I have posted AND added the ALABMA button to my side bar! I CANNOT WAIT until Sept. 5th! I'm ready to see Bama kick some Hokie hiney! Post is up and linked!